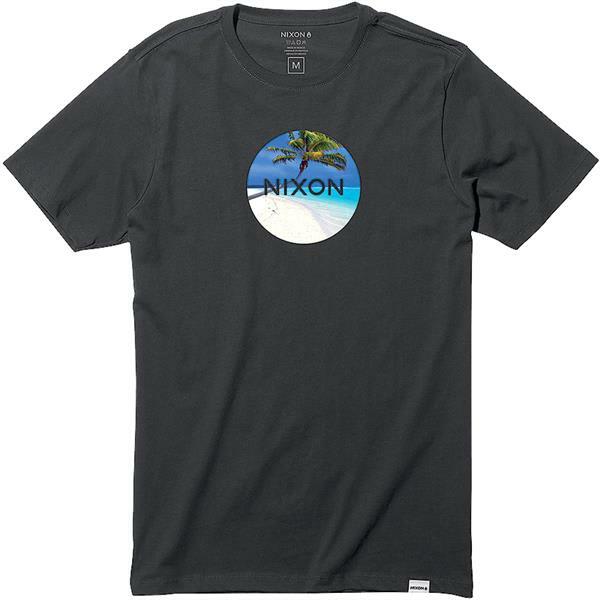 Never leave the beach when you wear the Palmer T-Shirt from Nixon. This men's graphic tee features a bright palm tree design that will have you thinking of sandy shores and coconuts all day long. Ring spun cotton and short sleeves keep you feeling cool in the summer sun, while a crew neckline and custom trims ensure your style is on point. Pair with khaki shorts and your favorite sneakers to complete the perfect summer outfit.